One more astrophotography picture. 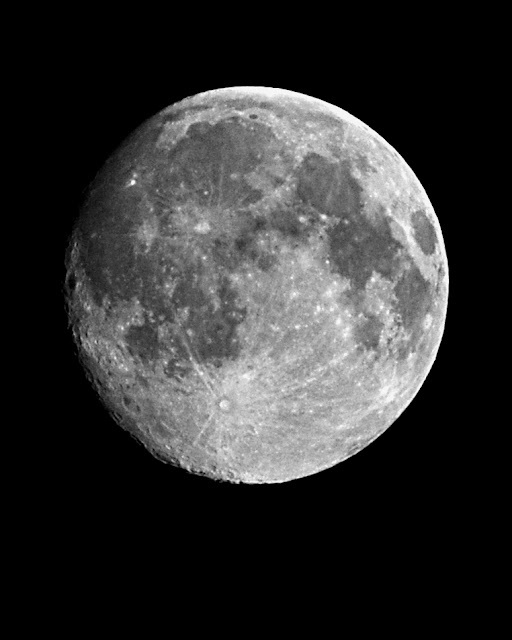 Jessica Tincopa, a local photogrpaher, asked me a question yesterday about shooting the moon, and I wondered how many other people had that same question, so I posted a shot I took, and the simple formula for a good exposure of the moon. The rule is the f8 rule. Set the camera aperture to f8, use shutterspeed nearest the reciporical of the ISO setting. For example, if the ISO setting is 100 use 1/100 sec if the ISO is 200 use 1/250 second 400 ISO use 1/500 etc… you will end up with a good exposure every time. Hope this helps you to enjoy taking photos which include the moon in them. Posted In: astrophotography, craters, luna, lunar, moons, photography.